It was on a recent afternoon at Roegels Barbecue Co. over on S. Voss Rd. that the above thought occurred to me, even as I sawed through the crunchy, peppery exterior of some brisket, reaching tender, succulent meat oozing with buttery beef juices. It looked and tasted a lot like the brisket at Killen’s, CorkScrew, Jackson Street and other new Houston barbecue joints, yet another wonderful example of the dark-and-fatty style of barbecue that’s sweeping the state. 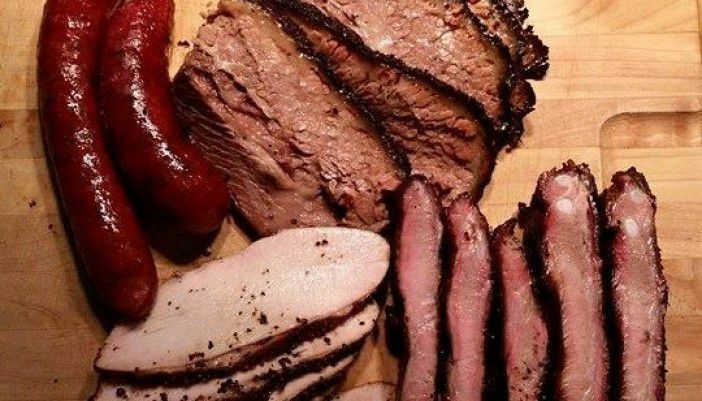 The new wave of Texas barbecue likely reached a peak this past May, when Aaron Franklin of legendary Franklin Barbecue in Austin won the James Beard Award for Best Chef: Southwest. In honoring a Texas barbecue pitmaster with an award usually reserved for chefs from fine-dining restaurants, the tastemaking Beard folks were sending a signal—Texas barbecue is a culinary art form of the highest level. Interestingly, however, while Franklin is the most well-known of the new-wave establishments, these days the best new barbecuers are setting up shop in Houston, not Austin. Take pitmaster Russell Roegels (pronounced “RAY-guls”) and his wife Misty, with whom I chatted after devouring their brisket. When Russell bought a Baker’s Ribs franchise more than a decade ago at the age of 28, he carefully followed the company’s recipes, at least for a time. “We didn’t season the brisket much at all,” he says. “We cooked it with the fat cap on, then cut the fat off and threw it away,” not unlike most East Texas barbecue joints. It wasn’t until after their license agreement expired in January 2013 that the Roegelses began reevaluating their technique.